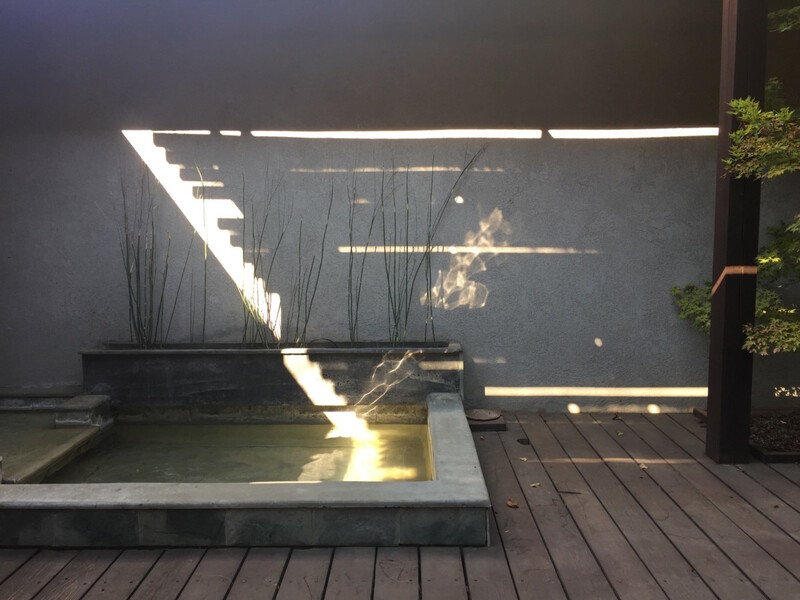 As I was sitting on the deck of our home in Davis and about to open the notes in my China journal I was distracted by a play of light on the wall behind the pond. The sun peaking through disciplined spaces along the overhang created an ephemeral piece of art that rivaled much of what I had seen during my years as an art critic. Abstract expressionism at its best! A fleeting frame of light walling off transient flickers led my mind into unbounded space. It felt so good to be back. After slowly working my way through my journal notes from the last trip to China, I realized that I had better conclude soon as the next trip is beginning to rise on the horizon. So, back to the journey through Hangzhou with Jing, our guide.